Project 529 is a bike registry program to help reduce bike theft and increase recovery when bikes are stolen. 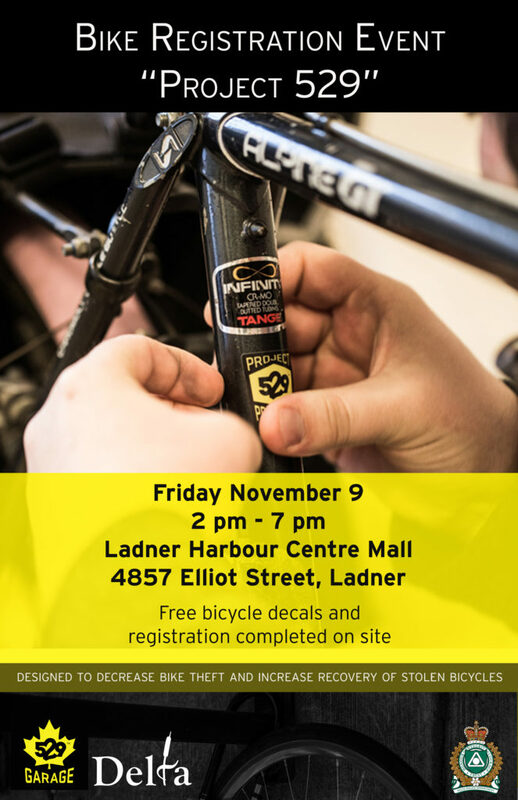 Delta Police will be hosting the Project 529 event at Ladner Harbor Mall on Friday November 9th from 2pm-7pm. Decals and registration are absolutely free of charge and will be done on site by one of Delta’s community police station volunteers (entire process takes less than 3 minutes). Just bring down your bike and they will get you signed up.